Just in time for the holiday season, Hate Eternal bass maverick J.J. Hrubovcak vomits forth Death Metal Christmas - Hellish Renditions Of Christmas Classics, a twistedly unholy rendition of some of the season's darkest hymns. 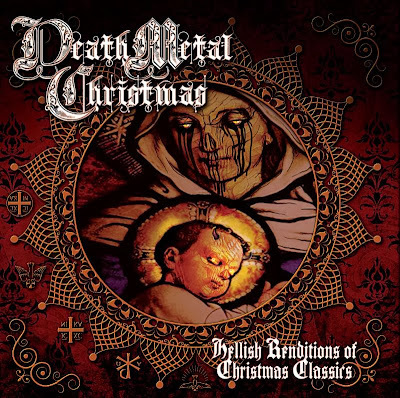 Composed and produced by J.J. with vocals and artwork, by brother/Monstrosity throat Mike Hrubovcak, Death Metal Christmas - Hellish Renditions Of Christmas Classics was engineered by Hate Eternal mastermind Erik Rutan and J.J., mixed and mastered by Brian Elliott all at Mana Recording Studios in St. Petersburg, Florida and boasts five deformed Christmas classics. Far from a campy holiday metal record, Christmas - Hellish Renditions Of Christmas Classics comesreplete with updated arrangements, blast beats, double bass drum battery, hellbound guitar solos and new lyrics with a purpose. 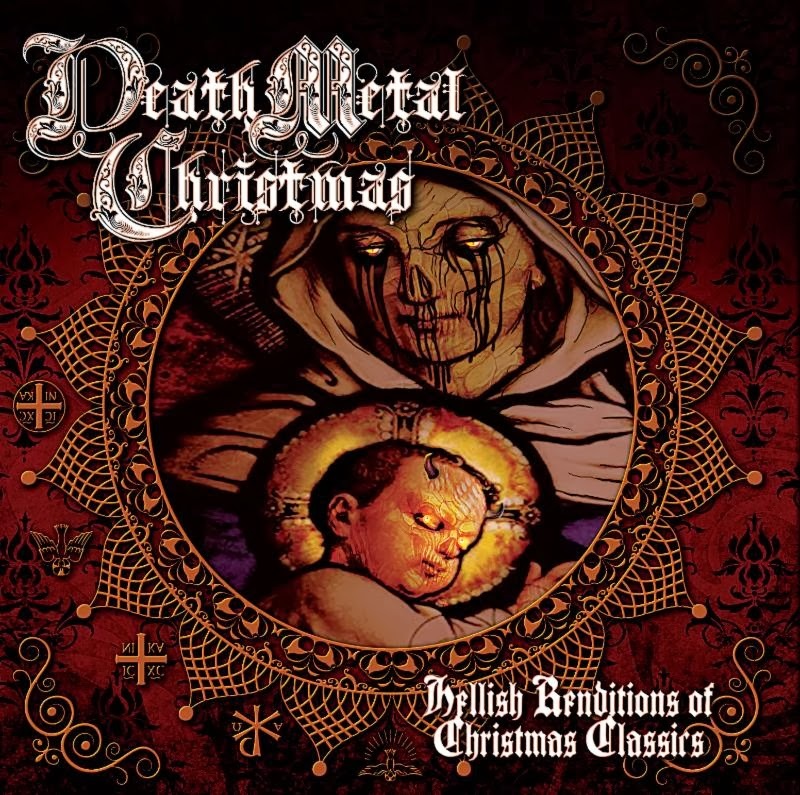 A death metal record first and Christmas album second, the themes of the hymns were used as a foundation for the music and can mostly be heard in the right channel. Everything else was built around the theme -- solo sections, intros, outros, harmonies, etc. It was important from the start that this album not be a joke, but a serious record that could survive outside of the Christmas season and thus the resulting symphony of sickness. Since many hymns written ages ago are dark in nature, they were obvious concept choices. The lyrics have been altered to portray a possible future outcome to mankind's current path and focus on Azrael, the angel of death in some Islam, Sikhism and Hebrew lore. The story follows a child (Azrael) born to a wealthy family heavily involved in politics throughout the generations. The child is not named Azrael but is infused with its spirit and is predestined by Abaddon (the Destroyer) to cleanse the earth of man though he does not know it yet. Azrael is never in the public eye nor is he ever elected to any position but is heavily involved in the family business of politics. He develops concepts for solutions to many of the world's problems and seduces world leaders into designating him the de facto authority on most major issues. The world leaders implement his "solutions" over the years as he slowly awakens to his own lust for power. He is so adept at manipulating men that they crown him king either in the public eye or behind the scenes. Once this king has total authority, he betrays the world leaders who realize that they've been misled for years. After systematically eliminating opposition, he turns on the entire human race. At this point, Azrael is fully self-actualized and carries out acts of suffering and death throughout the world in a way never before witnessed by mankind. Bear witness to the "Unrest For Melancholy Men (God Rest Ye Merry Gentlemen)," the beginning of this torrid holiday tale that centers itself on Azrael's birth and foreshadows what's to come. Elaborates JJ, "At this stage in the story, the earth is in great turmoil, thus the melancholy men who can get no rest from their suffering. Cultures from around the world are looking for answers. The song lyrics basically warn the human race that this demon is now born and will seduce every last mind on this planet into altering their morals and convictions to suit his purpose unless man refocuses. He is not at all direct but very insidious." "Unrest For Melancholy Men (God Rest Ye Merry Gentlemen)" is currently streaming for your maniacal enjoyment. Mike Hrubovcak is current vocalist for Monstrosity and Vile and founder of avant-garde death metal act Azure Emote. 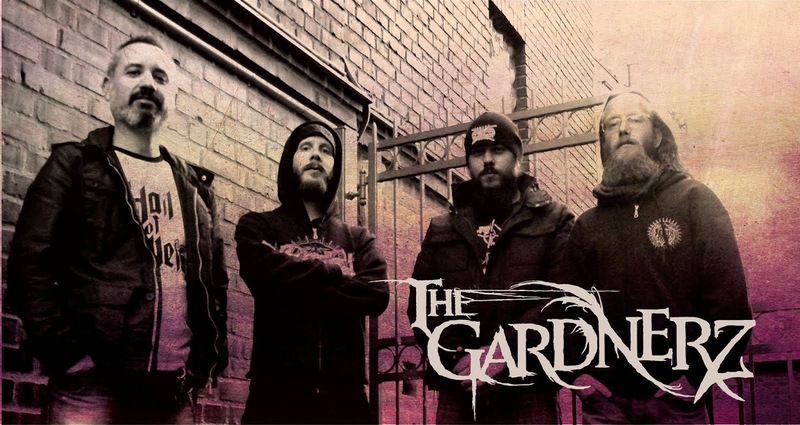 He's performed vocals and written lyrics in Abraxas and Divine Rapture and other acts over the years and is a renowned artist designing CD layouts, T-shirts, ads, etc for bands throughout the metal community including Pathology, Rumpelstiltskin Grinder and Grave. His work has been featured in galleries, published in hard cover art books and used in feature film Dream House. Death Metal Christmas - Hellish Renditions Of Christmas Classics will be available for purchase on November 29, 2013, Black Friday. For further info, point your browser to THIS LOCATION.